In an industry pinched by low margins, airlines continually add and raise fees for what used to be considered the basics. With so many ancillary charges to keep track of, and different price structures for different airlines, it can be hard for consumers to make an informed choice about which carrier will ultimately be best for their travel budget (and their sanity). We delved into the fine print to aggregate all the supplemental fees — including baggage fees, change fees, and other optional service charges — for nine top U.S. carriers and put together detailed charts for easy comparison across airlines. Perhaps the biggest takeaway from our research: Budget carriers like Spirit Airlines, Allegiant Air, and Frontier Airlines may promise big savings on tickets upfront, but backend charges can offset those initial discounts. The promise of not paying for anything you don't need (which, apparently, includes an overnight bag) might be appealing for someone taking a quick jaunt to a nearby city with nothing but a briefcase. Not so for those traveling with small children or planning to descend on relatives loaded with holiday gifts. Couples who want guaranteed seats together as they embark on a romantic getaway should know that they're also going to pay more for that privilege on most low-cost carriers. Indecisive travelers, or those with unpredictable schedules, should take into account that most airlines now charge hefty fees for schedule revamps and cancellations — at least $200 on most major carriers. Book a ticket with frequent flyer miles and you may be looking at not only a cancellation fee but a price to get those miles redeposited into your account. Want a furry friend by your side? Some carriers are more pet-friendly than others. At the same time, there may be some upgrades that are worth the extra expense. The basics aside, travelers these days are often forced to decide whether they're willing to pay a premium for creature comforts such as a little more legroom. How much would you be willing to spend to make it through the airport a little faster, or upgrade to an earlier position in the boarding queue? Do you have to be on Wi-Fi at all times for work? Gone are the days when nuts and soft drinks were the signature complimentary in-flight amenities. With many airlines now charging for even so much as a sip of soda, your choice of carrier might be influenced by whether or not you want to add loading up on snacks to your pre-flight checklist. 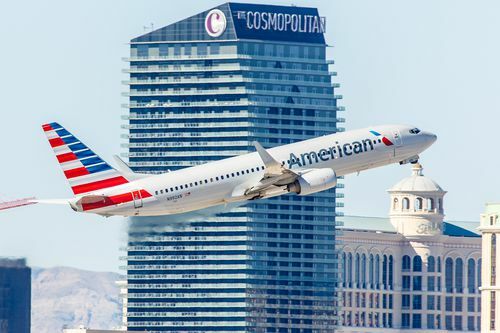 The airline fees listed below apply to passengers traveling in the lowest standard fare class on flights within the continental United States. Some are waived or reduced for passengers in higher fare classes, members who have reached a certain status in an airline's loyalty program, and/or customers who book with an airline-affiliated credit card. Which Airlines Charge for Bags? Baggage fees are big business for many airlines. Ultra-low-cost Spirit Airlines garnered 40 percent of its 2017 ancillary revenue from luggage charges, according to a recent study by consulting firm IdeaWorksCompany. Even the major carriers are getting in on this easy way to increase margins. Although most still allow a free carry-on bag, charges for checked baggage have become standard. American Airlines, Delta Air Lines, and United Airlines all raised their fees in 2018: $30 for the first checked bag and $40 for the second are now the going rates. Alone among domestic airlines, Southwest Airlines allows travelers to check two bags at no charge. Almost every carrier we looked at charges a minimum $30 each way for the first checked bag on a domestic flight if you're traveling on a standard economy ticket. Expect to add an extra $30 to $200 if the bag weighs more than 40 or 50 pounds or measures more than 62 linear inches (length + width + height). That's not to mention additional fees for specialized items such as sporting equipment, although exceptions generally are made for strollers, child seats, and mobility aids. And keep in mind that you pay baggage fees each way for round-trip flights. With low-cost carriers, fees sometimes depend on the date of travel, destination, and whether you pay for checked bags during online booking (lowest fee), at online check-in, through the airline's reservation center, at an airport kiosk or counter, or at the gate. There are a few ways to avoid fees for checked baggage, however. Most airlines, including American, United, Delta, JetBlue Airways, and Alaska Airlines, have partnered with credit card companies to create branded cards, and many of these offer a free checked bag for passengers who pay for their flights using affiliated plastic. Road warriors who've earned sufficient status in a frequent flyer program often are likewise rewarded (as are passengers in higher fare classes). Alaska Airlines (which recently acquired Virgin America) has a free program called Club 49 for residents of its namesake state, which offers members two complimentary checked bags per flight (usually $25 each), among other perks. Active-duty military personnel receive up to five bags free. United offers a novel alternative to a la carte fees: a baggage subscription service that starts at $349. At United's $30 rate, the lowest-cost one-bag subscription would pay for itself after about six round-trip flights. Do Airlines Charge for Carry-ons? The most tried-and-true method of avoiding baggage fees with the traditional carriers is to confine belongings to a carry-on and a "personal item" that fits under the seat in front of you. Just keep an eye out for ever-shrinking size allowances on those carry-ons. Most domestic airlines now require carry-ons to be no larger than 22 inches tall, 14 inches wide, and 9 inches deep. International carriers tend to be stricter, with many limiting carry-ons to 21.5 or 21.6 inches high. However, many low-cost airlines charge for carry-on bags, as well (passengers are still allowed one free personal item on the plane). With Spirit and Frontier, it's actually $5 cheaper to check a bag than to carry on. Frontier charges $35 to $60 for a carry-on, Spirit charges $35 to $65, and Allegiant charges $10 to $75 per segment flown, depending on how far in advance the fee is paid. Considering the exorbitant rates attached to bags checked at the gate, it's imperative that travelers make reasonable luggage estimates (and stick to them!) when booking a flight. United, alone among the three major carriers, requires passengers traveling on its Basic Economy fare to pay to check any baggage aside from a personal item — no carry-ons allowed. American and Delta also have a Basic Economy fare option, which in many ways mimics the price structure of a budget carrier, with lower prices and fewer amenities. American originally followed United's lead, allotting no overhead bin space to Basic Economy passengers, but subsequently revoked the restriction. All American and Delta passengers get a free carry-on bag. Which Airline Has the Best Cancellation Policy? The Department of Transportation requires airlines to allow all customers 24 hours to cancel a reservation without penalty (or hold it without payment, as long as they're booking at least a week in advance). After that, Basic Economy tickets are not eligible for changes. Fees for changing other tickets may vary depending on when and how (online or offline) the booking is changed or canceled, the type of fare purchased, the duration, or destination of the flight. Customers must also pay the difference in price if the new fare is higher than the original. On the other hand, if the ticket costs less, the airline may refund the difference, often in the form of credit for a future flight. Some airlines let passengers stand by on a different flight on the same day for free, if there's space available, but charge a fee for a confirmed seat. Booking a flight for an unaccompanied minor, for a pet, or by phone typically costs extra as well. In the past few years, United, Delta, and American have raised their fees for altering reservations on domestic flights to $200 or more, and fees on most other top carriers run between $75 and $125. Southwest is, again, the most generous of the airlines, allowing its customers free changes and cancellations on all flights at any time prior to departure. Frontier modified its policies to allow free changes to tickets up to 90 days before travel, and fees for changes closer to the date of travel are comparatively reasonable, as well. Will Airlines Waive Change Fees? Change and cancellation fees are often lower for award tickets purchased with miles. Again, customers with status in a loyalty program or an airline-affiliated credit card can sometimes avoid these fees altogether. Several carriers also have pricier refundable tickets and premium economy fares or packages that exempt passengers from fees if they wish to cancel or alter their itineraries. 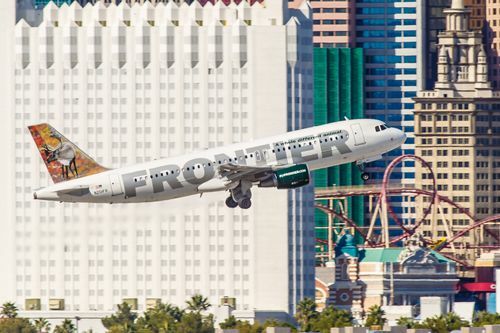 For example, paying a bit extra up front for Frontier's "The Works" bundle offers travelers no change fees, a full refund with cancellation, a free carry-on and checked bag, priority boarding, seat selection, and access to preferred seats. The cost varies by flight and is assessed each way. 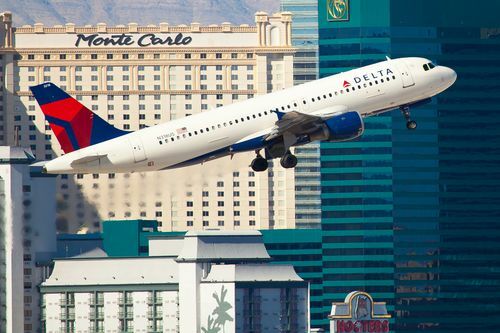 We ran the numbers for a sample flight from New York (LaGuardia) to Las Vegas and found that it would cost $112.06 each way to add The Works to the base fare of $343.20, for a grand total of $567.32. Paying à la carte instead for a carry-on, a checked bag, and the cheapest seat selections would bring the total to $523.20. That's less than the bundle, true, but lacks premium seating, priority boarding, and the peace of mind that comes with knowing the ticket's covered should a last-minute hiccup scuttle the trip. On JetBlue, the cost to change or cancel a flight depends on the price of the ticket and the fare type. JetBlue's graduated fees ensure that the charge won't be higher than the original airfare, a genuine possibility on other airlines. Take a look at the fine print before booking a flight with a smaller "budget" airline, as there may be fees in places you hadn't even considered. For example, Spirit assesses a $10 fee just for printing your boarding pass at the airport counter. A couple of other unique fees are built into the airline's quoted fares: a "Passenger Usage Fee" of $9 to $20 per segment, avoidable only if you book in person at the airport, a $12-per-segment fuel charge, and a "Regulatory Compliance Charge" of $7 per segment, a reaction to the Department of Transportation rule that allows consumers to cancel within 24 hours. Unaccompanied minor services are generally available for an additional fee (each way) for children between 5 and 17 but may not be required for ages 12 to 17. They are usually limited to nonstop or direct flights. Allegiant and Frontier do not allow any child under the age of 15 to travel without a companion who is 15 or older. For travel with "fur babies," Frontier and Southwest are the airlines that are cheapest to fly with pets. Individual policies vary when it comes to what types of pets are allowed on board — some airlines limit cabin companions to dogs and cats — but the general rule is that the animal must fit in a carrier that can be stowed beneath the seat in front of you. Although some airlines only allow pets to accompany owners on board, given liability issues around transporting animals in cargo, a few do offer this alternative. Delta and United recently instituted major policy changes with pet safety in mind. United's PetSafe program was put together in partnership with American Humane and makes a point of ensuring that the on-board compartments and holding facilities are climate-controlled for pets' health and comfort. Owners can even use online tracking services to monitor pets' status along the route. Airlines increasingly are charging for perks related to seating — more legroom, priority boarding, a preferred location, or even the privilege of choosing a seat at all, which used to be standard. Preferred seats may include aisle and window seats toward the front of the plane, bulkhead seats, and/or emergency-exit-row seats. Premium coach seating generally constitutes extra legroom and priority boarding. Additional airline fees commonly concern onboard amenities. Most airlines still offer complimentary soft drinks, juice, coffee, and tea (and sometimes a snack, as well), but a few have started charging even for non-alcoholic drinks. Most carriers now offer premium seating for a price. 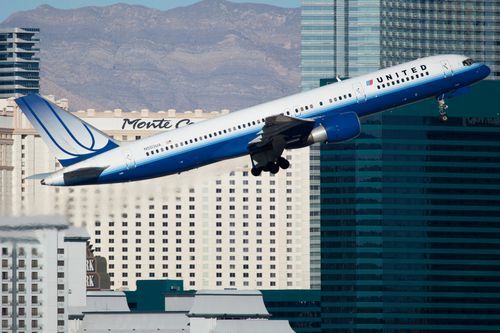 United offers an annual subscription service for its Economy Plus option, which provides more spacious seating toward the front of the plane for quicker debarkation. That subscription starts at $499, however, and doesn't guarantee an Economy Plus seat will always be available. Alaska Airlines' Premium Class seating includes more legroom, complimentary drinks and snacks, and early boarding. The cost starts at $15 and rises with segment distance. On the other side of the aisle, with many budget carriers — Spirit, Allegiant, and Frontier included — the seating fee isn't paid in the interest of extra legroom or a premium location; it's a fee for choosing any seat at all, which can increase costs for families or couples who want to make sure they sit together. Spirit charges up to $50 to choose a seat rather than have one assigned, and fees on Allegiant can run up to a whopping $80. Stripped-down Basic Economy tickets on American and United also require fees for seat selection; otherwise travelers just have to wait until check-in to see where they’ll be placed. Delta doesn’t even give Basic Economy passengers the option to pay for upgrades to premium seats. The boarding process for Southwest differs greatly from other airlines' procedures. Instead of being assigned a seat, passengers are given a letter and number code that determines their boarding order. When their group is called, they can choose any open seat. That means Southwest customers won't see any fees for preferred seat assignments or premium seats with extra legroom. Boarding order is assigned based on check-in time, which explains an optional $15 to $25 charge for EarlyBird Check-In — 12 hours earlier than other passengers, for a greater chance of finding an ideal seat. Southwest also lets customers pay $30 to $40 for a guaranteed position in the first boarding group. Delta now offers priority boarding for a flat $15, or as part of bundled packages that combine this perk with either Wi-Fi access (the Ascend Package) or extra award miles (the Lift Package). A couple of airlines, like JetBlue, for example, top off a la carte offerings with the promise of expedited security screening for a fee of $10 to $15. Fans of Spirit's brand of "unbundled" airline pricing say: Why pay for what you don't need? But the rock-bottom ticket prices are accompanied by charges for virtually everything else — a lot of which may not feel like it should be considered "extra." Spirit also has some unique fees that other airlines don't charge. A mandatory “passenger usage charge” adds about $18 or $40 to a direct round-trip ticket, a ”regulatory compliance charge” tacks on another $14, and there’s even a $12 fuel charge per segment. This discount airline charges numerous fees, including $2 for non-alcoholic drinks and as much as $80 for the privilege of choosing a seat. Also, Allegiant assesses some fees by segment (one takeoff and landing), so travelers could end up paying multiple times before reaching their final destination. Reservations made through the call center, for example, carry a charge of $15 per segment. And unless you buy your ticket in person at the airport, there’s an additional $18-per-segment "carrier usage fee" built into the quoted fare. Some of Frontier's fees are actually lower than many other airlines' (for instance, changes and cancellations are free or relatively inexpensive, although the charges increase as the travel date approaches). Unexpected fees for non-alcoholic beverages and any bags beyond a personal item are sure to aggravate some passengers, however. Many add-ons are waived with the purchase of a bundle like The Works (prices vary), which includes a free carry-on and checked bag — exemptions worth a minimum of $65 on this airline — in addition to boons such as seat selection, priority boarding, free changes, and a full refund with cancellation at least 24 hours before departure. There's little difference in fees among the transcontinental legacy carriers (United, Delta, and American), but United recently introduced a variety of enrollment services, including a baggage subscription, that could end up reducing overall fees for frequent travelers, at least. Of course, there’s always fine print, and the subscription business model is founded on the expectation that consumers will end up paying for more than they would otherwise have purchased separately. The three legacy airlines all offer Basic Economy tickets meant to compete with the stripped-down prices of ultra-low-cost carriers, but only United does not grant passengers traveling in that fare class a carry-on bag — which, for anyone taking more than a day trip, automatically tacks on $30 each way. American charges roughly the same fees as the other big names for things like checked bags ($30 and up) and reservation modifications ($200). While the airline once offered bundles (like Choice Plus) that provided money-saving benefits like change-fee waivers and complimentary checked luggage for a nominal price upfront, those options have been discontinued. Like United and Delta, American now offers a downgraded fare option for travelers willing to forego seat selection and itinerary changes. Unlike United, however, American recently changed its policy to allow Basic Economy passengers the added “luxury” of one complimentary carry-on bag. With fees comparable to what the other transcontinental legacy carriers charge, Delta shouldn't surprise many travelers with its add-ons. Along with American and United, Delta waives certain checked-bag fees for customers with an airline-branded credit card. It one-ups those rivals by allowing passengers to use messaging apps like iMessage, Facebook Messenger, and WhatsApp without paying for in-flight Wi-Fi. However, Delta loyalists must shell out more for any changes or cancellations made to travel booked with reward miles: All but the top-level members can expect to pay $150 for changes, and miles cannot be redeposited for cancellations made less than 72 hours before departure. 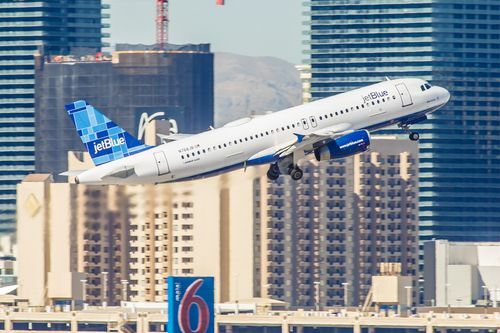 JetBlue long ago joined the crowd charging for the first checked bag and has increased many of its fees of late, from change and cancellation to travel with pets. But the brand is still generous with the amenities it offers at no cost. On JetBlue, expect free DirecTV, as well as Wi-Fi and complimentary snacks more substantial than the usual pack of pretzels. Change and cancellation fees are graduated based on the price of the flight and fare type. 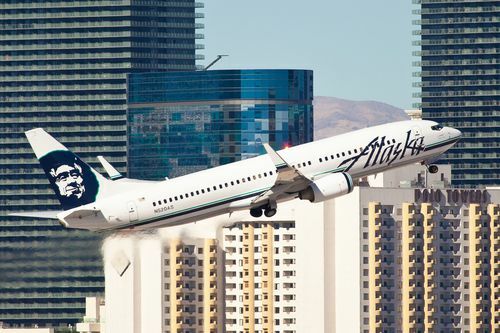 With its recent acquisition of Virgin America, Alaska Airlines is estimated to be the fifth-largest airline in the United States, and proudly claims to offer the most West Coast nonstop flights. But it hasn't lost that "small-town" feel quite yet. Alaska still waives many fees for residents of its namesake state through the free Club 49 program and keeps extra charges relatively low for everybody else, too. Change and cancellation fees are near the lowest, and Alaska has one of the cheapest same-day change fees of any airline ($25-$50). One thing Virgin America fans will miss is a particularly generous checked baggage policy ($25 each for up to 10 bags). The only real oddity among Alaska's fees: a "left on board item return fee" of $20. Southwest is hands-down the best airline for travelers worried about fees. It's the only one that lets passengers check up to two bags at no cost and charges no fee to change or cancel a flight. Customers pay only the difference in fare. 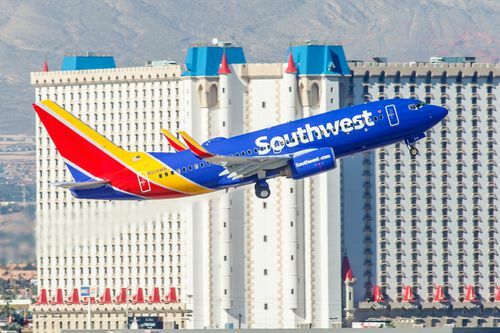 Add to this free non-alcoholic drinks, snacks, and streaming video and text messaging, and it's easy to see how Southwest has earned the top spot among low-cost carriers two years in a row in J.D. Power's annual survey of customer satisfaction. Don't opt in! Learn how to avoid overdraft fees.